This quilt block was designed as a charitable collaboration with an organization I greatly admire, Love More (www.lovemoresign.com). All proceeds will benefit the love-assisting organization and their endeavors to spread love and kindness throughout their community. Use this 14.5" block pattern to create a variety of projects from pillows to mini quilts to larger quilts. 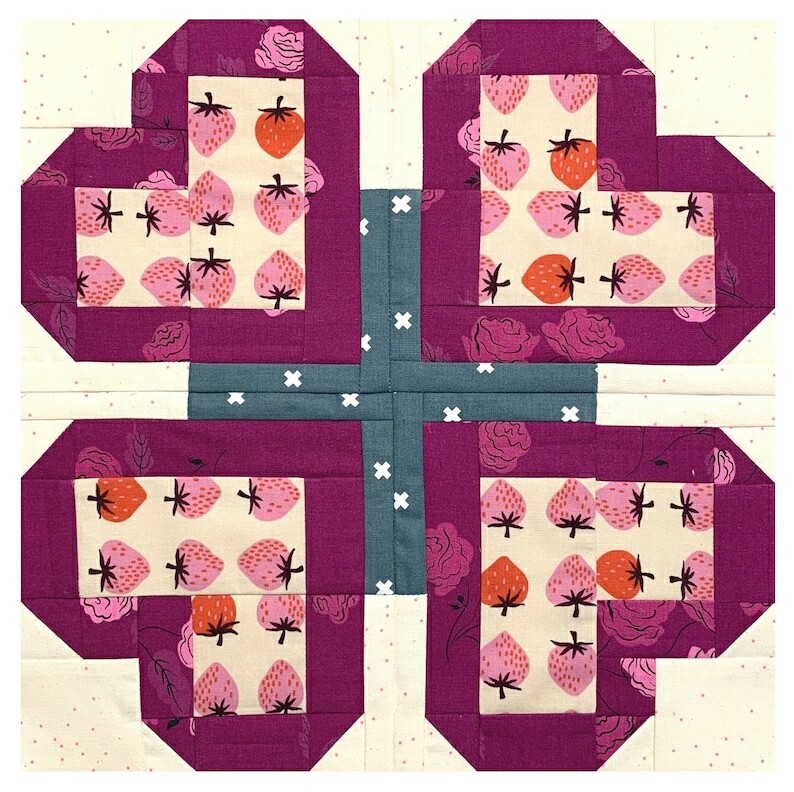 The heart/four leaf clover pattern is perfect for Valentine's Day and St. Patrick's Day projects alike!